Natawista Culbertson (1825?-1895) – The daughter of Two Suns, the chief of the Blood (Kainah) tribe of the Blackfoot Confederacy, Natawista was born about 1825. 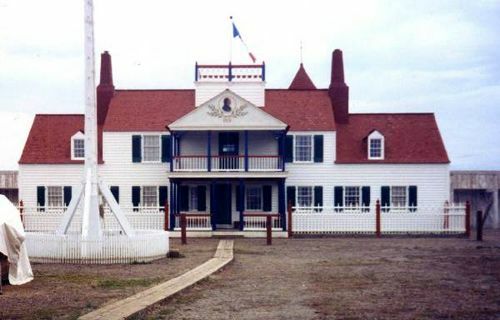 When she was 15 years-old she traveled with her father from Canada to Fort Union, a trading post located on what is now the North Dakota–Montana border. While there, she married Alexander Culbertson, the chief trader for the Upper Missouri Outfit of the American Fur Company. Because of the intense competition between American and British traders for the Blackfoot trade, it was common for officers to marry the daughters of chiefs to cement trading relations. Natawista worked as a diplomat, a hostess, and an interpreter with her husband for nearly thirty years to bridge the gap between the white traders and the native inhabitants of that region. During their years together, they had five children. In 1858, after having made a considerable fortune in the fur trade, the Culbertsons moved to a farm near Peoria, Illinois where Natawista’s life was described as “unconventional” at times. Sometimes in the fall, she would set up a teepee on the lawn, discard her white woman’s clothes, dressing in her Indian garb, and spend several weeks in her teepee. In 1868, the couple moved to Fort Benton, Montana and Culbertson resumed trading. However, just a few years later, Natawista went to the Blood camps in Alberta and never returned to her husband. She died there in 1895.